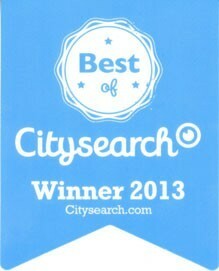 We are thankful to all of our clients, staff, and friends of Dreamclinic who showed us such great support by taking the time to visit the Citysearch website and cast their vote.The Dreamclinic community came out in droves and we won! Doing massage therapy in a truly caring way is what Dreamclinic is all about. Kudos to our staff and our clients for taking massage therapy to the next level!